When God created man, He immediately put him in a position of dominion (Gen 1:26). He made him in His own image and gave him authority and rulership over all creation, right from the beginning. He sat him on the SEAT of AUTHORITY. Mankind can’t get away from this. IT is part of our DNA. Later God bestowed leadership and authority to the man (male) over his family. However, He knew that man will encounter the temptation of abusing this position and therefore made him subject to the obedience of Christ! He made sure that the man He gave authority was under authority! By sitting and operating under His Authority, only then could the man bear good fruits. Now this is the SEATED MAN. He is a man who has sat in his RIGHTFUL place. He administers those under him by looking unto the One over him! He draws his leadership, power, grace and love from the Infinite God. Though sometimes he withers and dies, he speaks and leaves life to those under his care. He leaves inheritance for his children’s children. 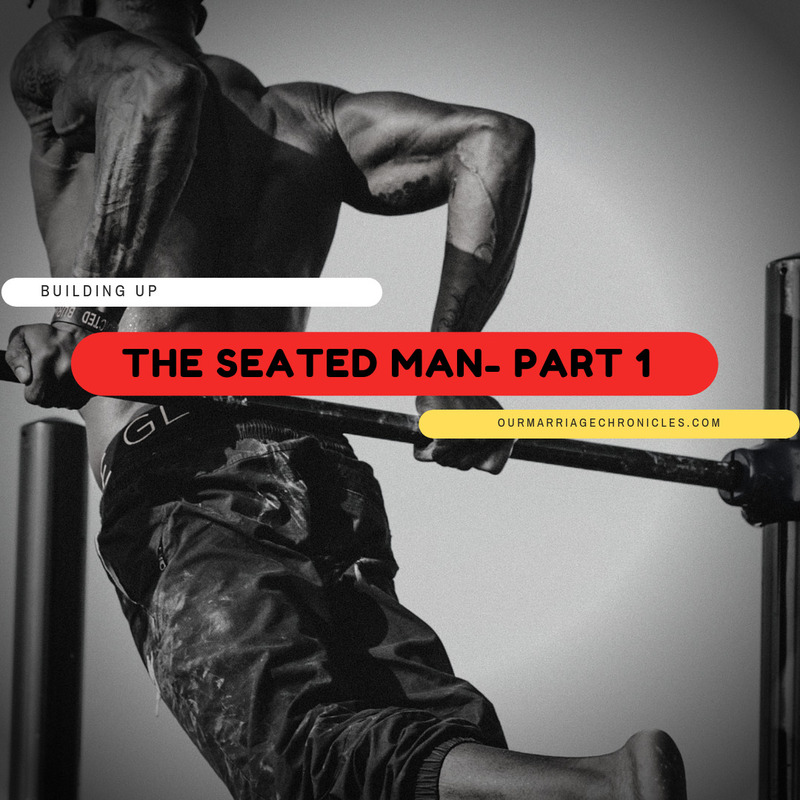 For a man to be SEATED, he must be tested and proven to be fit for his throne. A worthy king is one that has risen through the ranks of leadership, stewardship and servant-hood. King David was anointed to be king at a tender age. God tested him through the years and found him faithful to lead and command. He was first tested with in the area of servant-hood. He was a shepherd over his father’s sheep. He took care of them as though they were his. He fought and killed the lion and the bear, some of the most dreaded animals in the world even today. You can imagine delivering a lamb from a lion’s mouth and later grabbing it by its mane and striking it dead! That was serious courage and great skills. Though he did all these, he didn’t go around boasting about his earth shaking conquests. It took him about 15 years to assend to the throne. He was patient and waited upon God’s appointed time. When King Saul wanted to kill him, David didn’t fight back. He didn’t touch him even when he had the best opportunity to do so. When he was ripe to be King, God seated him on the throne! Joseph was a man just like us. God tested him from his childhood all through to adulthood and he passed the test. His first test was when his father made him a coat of many colors. He remained humble and didn’t consider himself special among his 11 brothers. He was tested in jail and in the palace. He passed! God found him worthy to be made a prime minister and he later rescued Israel from starvation and extinction. In a nutshell, what we see in these two examples is the JOURNEY to kingship. The road to having dominion, leadership and rulership is not an easy one. That is why it is less travelled. Not many a men like to fight giants on their way to becoming great husbands and fathers, leaders and rulers. Many would rather sit at home and live a normal life than go out there and sharpen their skills of servant leadership. Oh how we love our comfort zones. We don’t like being corrected when we are wrong. We would rather let the sheep (read values) be devoured by the lions (read desires and drives) than grab the ferocious animal by its mane and tear it down. When we let our guards down, the building blocks of our lives are shattered and the future destroyed. If we lack self control over our emotions and feelings, how can we build our homes? God trains as from a very tender age to be men of wisdom, valor and men after His own heart but it all depends on our willingness and obedience. The faster we yeild to His guidance, the earlier we fulfill our purpose. If we become faithful with little, then He shall entrust us with so much more. If we become good stewards of the little He has put under us, then we can be certain of increase. In 1 Tim 3:2-12, Paul tells Timothy that if one desires to be a Bishop, besides other things, he must be “one who rules his own house well, having his children in submission with all reverence (for if a man does not know how to rule his own house, how will he take care of the church of God?);”. It’s quite interesting how Paul brings about the aspect of children and submission. It’s one thing to bear a child. It’s another thing to bring up a child. It requires work, dedication, commitment, grace and love. Raising up a child from infancy to adulthood, its not a walk in the park. Your love, resilience, meakness, sobriety, faithfulness, forbearance and charity are put to the test. If you pass these tests, among others that are highlighted in the passage, then you can aspire the noble calling of a bishop. This is the way of a SEATED MAN. He must be ready to endure the process. He must be willing to pay the price. He must stock up love, courage, long suffering, kindness, humility, faithfulness, patience, forbearance, focus, self-control, and many more. He must be willing and ready to fight the ferocious giants that want to kill his destiny. We must be found faithful even in the small and most minute issues of our lives. Only then can God entrust us with bigger and greater responsibilities. God will expand our territories where there is good stewardship. We must endeavour to be faithful with the little that He has given us. It might take long to reach maturity, but progressively it shall be fulfilled. You shall eventually get there, by the grace of God. Next PostTHE JOURNEY OF MOTHERHOOD - STICK TO YOUR LANE. He must stock up love, courage, long suffering, kindness, humility, faithfulness, patience, forbearance, focus, self-control, and many more. ….I can’t enough of this part! More wisdom Hunnie!